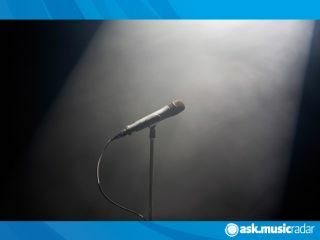 Who is the greatest lead singer of all time? UPDATE: Cast your votes now! Who is the greatest frontman or woman ever? UPDATE: The nominations are in and it's time to get voting! Click on the poll to the right to cast your vote for the greatest lead singer of all time. In case you haven't guessed by now, we love getting you lot involved for a bit of list making. We've recently seen you nominate the greatest drummer of the last 25 years (with a bit of help from our sister mag Rhythm), the decade's greatest riffs (thanks Total Guitar) and you've let us know your 25 greatest bassists of all time. Each time the response has been amazing, every list has been hotly contested with plenty of debate and controversy along the way. Which is great. This, in many ways, is the big one: the greatest lead singer of all time. Like it or loath it, a band's public image, live shows and, ultimately, their success can often rest squarely on the shoulders of their front-person. But what makes a front-person great? And who is the greatest ever? So whether it's a flamboyant showman like Freddy Mercury, a troubled rocker like Kurt Cobain or Ian Curtis, an iconic songstress like Debbie Harry or Stevie Nicks or an opinionated Northerner like Morrissey or Mark E Smith, it's time for you to let us know your thoughts. The only rule is that they must have performed as part of a band - so no solo artists.